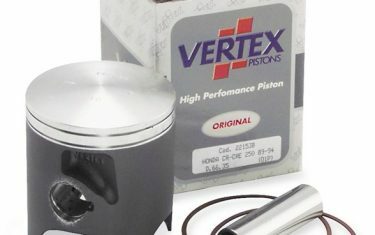 Vertex pistons are manufactured using exotic aluminium alloys called Low-Ex (low expansion) Silicon charged with 12%, 18% or 21% depending on the application. 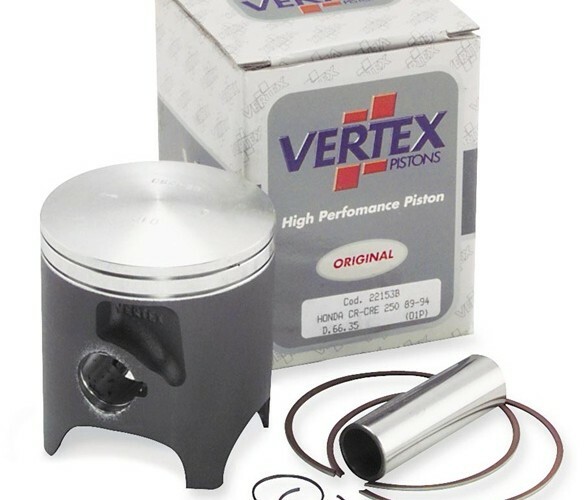 Vertex pistons are manufactured using either a gravity cast or hydraulic forging process to make the blank parts and then the material structure is refined using a hi-tech Heat Treatment completed in an automatic HT implant with solubilization by quench in hot water. This heat treating process is cutting edge technology for this type of aluminium alloys. The machining process is completed using the latest CNC machines and software as well as the usage of diamond tools. By using this high tech tooling, specific surface finishes can be achieved depending on the final application of the finished piston. Every Vertex piston passes through a rigorous manual and automatic quality control process to insure only the highest quality level. 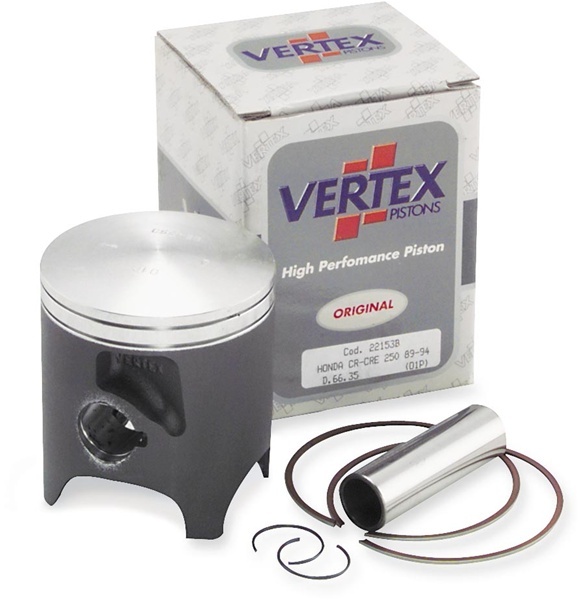 Vertex pistons are coated with a special Molybdenum Bisulphite black coating to aid during piston break in and reducing friction during the work inside the cylinder. Recently, following the latest developments used in Formula One engines, Vertex has introduced a new, all over, Phosphate Coating which has a slight hardness increase combined with a light surface porosity that exhibits superior adhesion qualities of the Molybdenum Coating, extending the coating durability for twice as long.